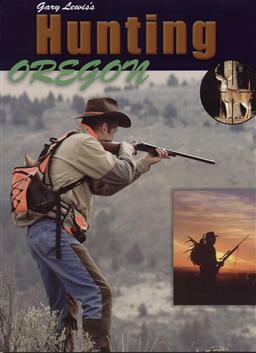 You can go coyote hunting in Oregon any day of the year. Although you won't always see a coyote, and they may not come to your calls every time—the chase is always a thrill. For coyote hunting tips and coyote hunting stories, you've found the right place! Scientists classify the coyote under the order Carnivora in the family Canidae. Canis latrans has been called the brush wolf and the prairie wolf. Some folks call them song dogs and others call them yodelers. The Aztecs called them coyotl. Ranchers call them trouble at calving time. The Oregon coyote is well-educated and comfortable living near humans. He prowls Portland's golf courses, hunting rodents and birds. In and around the suburbs, he seeks road-killed rockchucks, unsuspecting housecats and domestic dogs. Away from humans, Coast Range coyotes and high desert howlers hunt anything from mice to mule deer making their living on the land. Ranchland Stands Help Fool Wary Wile E.
We were 100 percent on our East Biggs Unit mule deer hunt. My friends Ryan and John had filled their antlerless deer tags in two days. We stopped at the ranch house to say one last ‘thank you' before we headed for home. Our hostess suggested we stay another day and see if we could bag a coyote. That was an easy decision. In China, they say the singing of a magpie foretells happiness and good luck. But to the Anglo-Saxon, the presence of the black and white long-tailed bird has a different meaning. In the British Isles they believe that a lone magpie is an ill omen. A bit of rot, you say? Some people take it bloody serious. We were hunting turkey, but something must have been eating the birds in our corner of the Ochocos. By mid-afternoon, our prospects looked bleak. That is until a hungry coyote came in at a trot. When you imitate a prey species, in the hopes of calling in another of that species, you may attract the attention of a predator. With turkeys now in every Oregon county, cougar, bobcat, fox and coyote have all developed a taste for gobbling the big birds. Cow country coyotes are some of the best-schooled predators on four legs. Every day they observe the two-leggers walk the fields and ride out to the cattle. They learn to lie up in the sage or watch from the rimrocks, waiting until all is quiet before returning to the flats to hunt mice, ground squirrels and rabbits.